A new prize was created at the 2017 Torino Short Film Market (TSFM) by SUB-TI ACCESS. The new SUB-TI ACCESS Award was given to the short film IRMA by Alejo Schettini and Germán Tejeira, 2017, a beautiful and heartwarming short animated film. The prize consists of creating an accessible version of the winning film in either English or Italian. SUB-TI ACCESS has been promoting a culture of accessibility in the film industry for many years, trying to raise awareness on inclusion and accessible versions for the visually and hearing impaired. “IRMA is such a wonderful and touching silent animated film and we think it should be made available to everyone. One in six people will, at some point, have some form of sensory impairment. They should be able to enjoy cultural content just like anyone else. I hope this sort of award can help raise awareness on accessibility among young filmmakers. 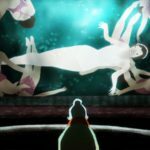 We will do our best to transfer this exquisite piece of animation into words, creating audio description to make it accessible to the blind and visually impaired” said Federico Spoletti, Managing Director of SUB-TI ACCESS. Sub-ti Access si occupa di garantire la comprensione di contenuti culturali, informativi ed educativi a chiunque, indipendentemente dalle abilità sensoriali di ognuno. Sub-ti Access fornisce sottotitoli per sordi e ipoudenti e audio descrizione per ciechi e ipovedenti, rendendo accessibili film, programmi televisivi, spettacoli teatrali, conferenze e altri eventi live.